A well balanced and easy drinking ale with subtle citrus hop character and a crisp, clean finish. As refreshing as a summer ale but made to enjoy all year. As avid outdoor enthusiasts, we’re never more “at home” than when we’re exploring old mining trails in Colorado’s high country, fishing the pristine waters of the South Platte, or skinning up Arapahoe Basin under the light of a full moon. We understand how fortunate we are to live in a place like Colorado. We also view it as our responsibility to ensure that the things that make Colorado so special are there for generations to come. So, we Tread Lightly. Tread Lightly Ale is inspired by the philosophy of leaving no trace behind when exploring the great outdoors. Well-balanced and accentuated with a citrusy hop character, Tread Lightly has a delightfully crisp finish. Make sure you clean out your fridge to make room for a six-pack of Tread Lightly….we think you’ll be happy to always have a stash of it nearby! Click here for analysis and results. Water, barley, maize (non-gmo blue corn), rice, hops, and yeast. 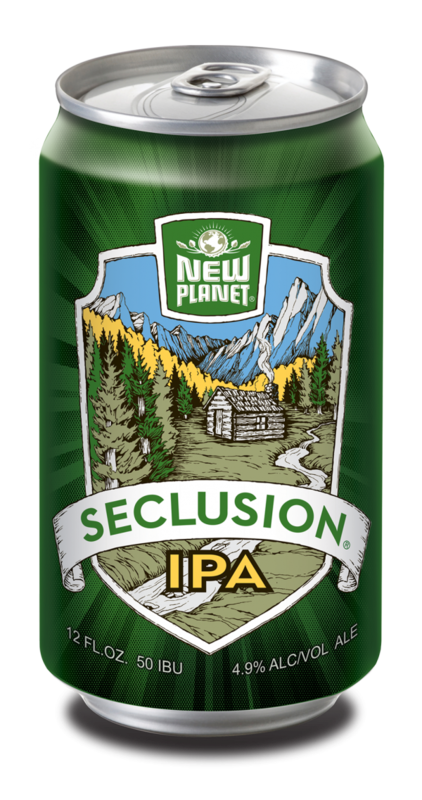 A smooth and well balanced ale with subtle citrus hop character and a crisp, clean finish. Pairs well with light and refreshing food. Try: mild seafood dishes such as shrimp scampi or pan seared scallops; a beautiful salad with produce fresh from the Farmer’s Market; and yes, dessert! Think a lemon custard tart. Awards Bronze Medal, Denver International 2016, Silver Medal, Denver International 2017. 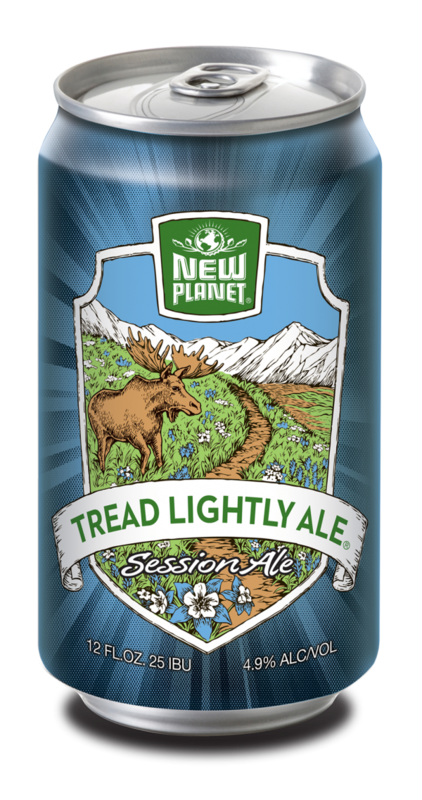 New Planet Tread Lightly Ale is fermented from grains containing gluten and crafted to remove gluten. The gluten content of this product cannot be verified and this product may contain gluten.